The heart’s greatest source of nourishment is love and appreciation, and now there is evidence to back it up. The American Psychological Association (APA) recently reported that positive thinking and feelings of gratitude have been shown to enhance both mental and physical health, the heart in particular. Gathering a group of 186 male and female participants who were currently suffering from asymptomatic heart failure (Stage B, whereby therapeutic intervention is likely enough to prevent Stage C’s symptoms), researchers found that those who had demonstrated higher gratitude scores also had elevated measures of sleep performance, self-efficacy, and positive mood, along with a reduction in inflammation (a key contributor to heart health). When asked, these participants claimed to have a greater connection to spirituality and an overall greater sense of satisfaction and well-being. Journaling was also seen to be beneficial, as it provided a personal space for self-reflection. The Take Away: Whenever you are feeling crabby, remind yourself of something larger, something that deserves appreciation and a warm, genuine smile. By asking high-mileage questions, your bad day becomes futile. Put things in proper perspective, and take the pressure of yourself for a moment. Distance yourself from the troubling situation at hand and direct your attention outward, shifting the focus on someone else and the gratitude they deserve. Honoring meaningful connections with others keeps the heart alive, pumping with vigor in the biofeedback of love. By carving out 10-30 minutes of your day to write down your thoughts, you hold yourself accountable. Furthermore, this action will most likely become something that you look forward to doing each day. I recommend allotting time either first thing in the morning, around 3-4pm (right when the afternoon sugar munchies attack hits us! ), or at night before bed; yet, some people do a morning and evening session to both wake up and shut down with positive thoughts. Set the scene: curl up in bed, light some candles, play a song that reminds you of a happy moment with loved ones. Think of this as a moment to be alone with your thoughts and give back, in a zone full of comfort and free of judgment. Writing a personal letter or email to someone whom you appreciate brings warmth and joy to both your and his/her day. Putting down your thoughts on paper and sharing them with the person of honor is a special way to connect with someone and foster the relationship. A few simple words have such an impact, and it’s very rare nowadays that people get the recognition they deserve for being a caring friend, significant other or family member. Write down the names of 5 people you are grateful for and list 5 positive qualities they exude. Then, think about your role as a friend—are you doing a good job of reciprocation? What can you improve on? Check in with your relationships: to whom do you owe gratitude? Not all relationships are healthy, and it’s important to know when to draw the line and free yourself from negativity, discouragement and disloyal behavior. Appreciating those who offer kindness and support warms the heart, but ill-doing trespassers can easily cause wounds that make you feel bad about yourself and resistant towards trust. It’s important to trust and love yourself; it’s through self-appreciation that you are able to provide gratitude and compassion for others. Giving and receiving appreciation go hand-in-hand. How do you show gratitude? I’d love to hear your comments! 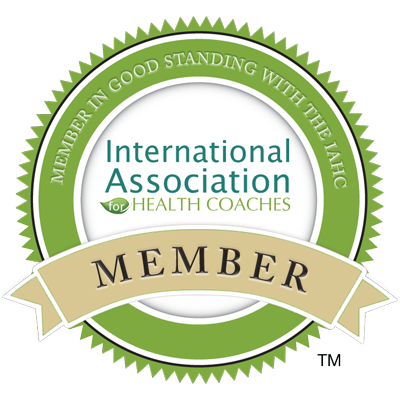 Isadora Baum is an ambitious and passionate Health Coach who guides people on their journeys towards achieving personal goals and feeling their absolute best selves. She understands the need to live for oneself and helps build the confidence and resources required to find concrete happiness.